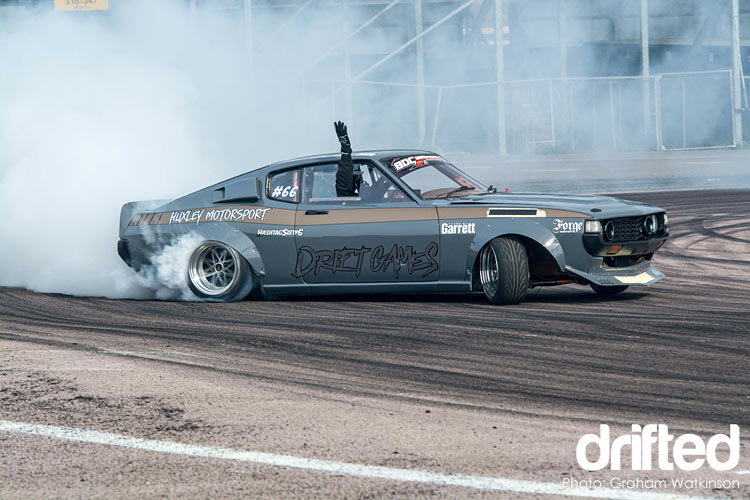 Marketed as the evolution of the British Drift Championship I find my way back to the outer paddock of Rockingham Motor Speedway for round one of a new style of drifting competition. 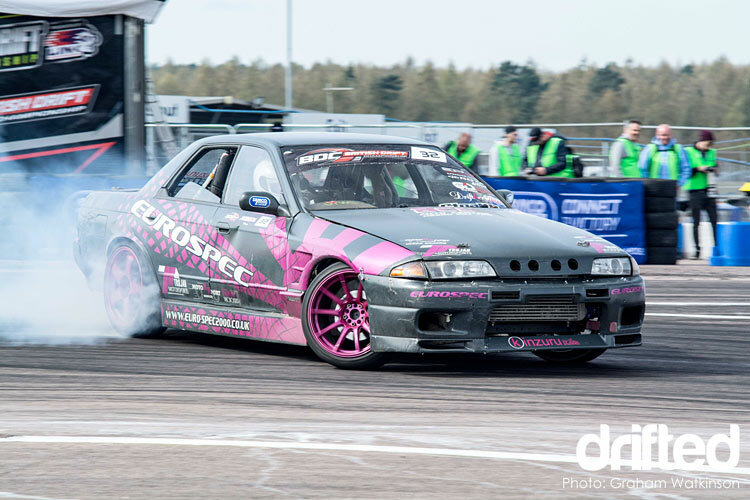 Over the winter months the British Drift Championship series has seen a major overhaul of all the aspects of its dynamic. It has been fundamentally taken back to its bare bones by its progenitor David Egan. 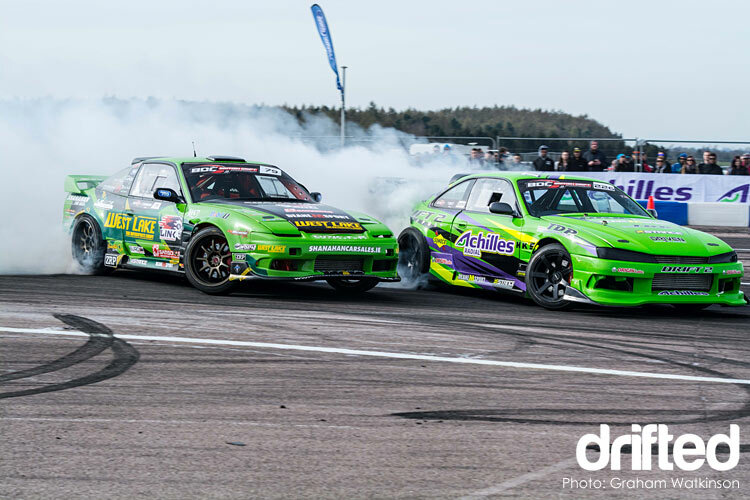 The series has been redesigned around the simple premise of “what drifting needs, to progress“. It’s core is really quite simple; a drifting series that delivers constantly and consistently at all levels. Ensuring that the drivers and spectators all push the boundaries of the sport. 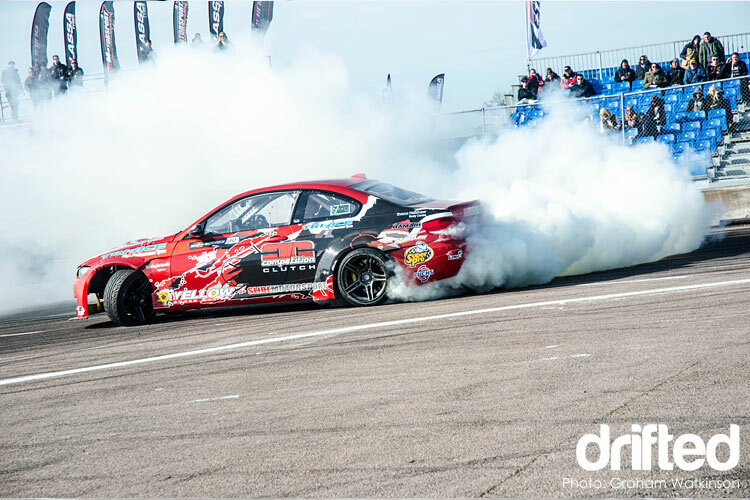 Bringing back element of fun, driving on competition ideals and of course bringing the smoke. 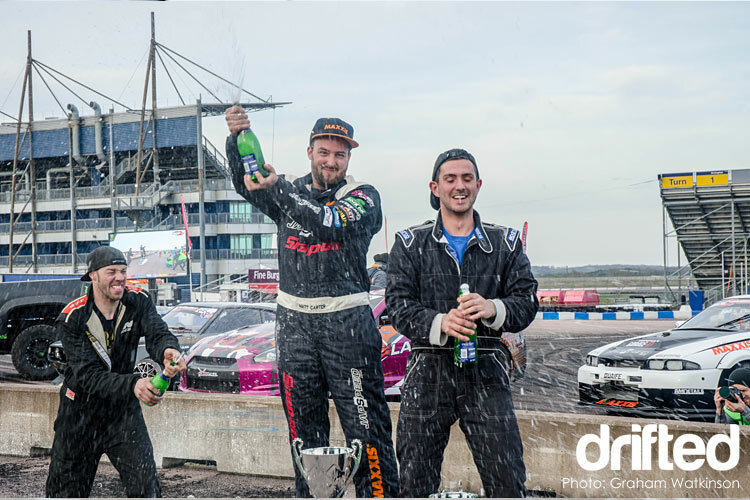 My last visit to Rockingham outlined the strategy of Mark “Sweeps” Buckle and Drift Cup. I called it the next step for many and that is indeed what it is and was. It’s all too common to settle for what we have and that isn’t a bad thing, but I and many others believe that in order to drive ourselves forward, to keep challenges fresh, we need such competitions. Practice is always welcome but we do need that competitive edge to keep us all race ready. It would be too easy to call this the next step once again but for most it’s the ultimate goal, to be on a par with the European championships and possibly the USA. That goal is achievable with time and a great deal of patience by both the competitors and David Egan, the boss of the BDC and the IDC. Together with his trusted clan they were able to deliver the first installment of what is to a great change to drifting in general. With a full team of staff assembled together with some long serving and trusted BDC track staff, his plan was delivered in all it’s glory on Saturday 25th and Sunday 26th of March, 2017. First let’s look at where the series sat prior to the revamp. It certainly was a well-attended series of events throughout the UK with a tried and tested format on a par with any major league European championship. Attendances were good both from drivers and spectators. The battles were hard, wins and losses are always inevitable, some perhaps not the way you would expect. Damage and crashes, excitement and regret but all are winners in the end. Damage and crashes, excitement and regret but all are winners in the end. Enter our glorious new leader, fresh with ideas both on and off the track. His background is not one that this sport would suggest, although it was in the business of showmanship; that of a semi-professional DJ in Dublin. Roll on a few years and we now see David Egan as a drifting and media icon, fronting all his own work online both here in the UK and Ireland. With his in-house media team, they produce and publicise any product they need in order to make their brand the leader of the pack. 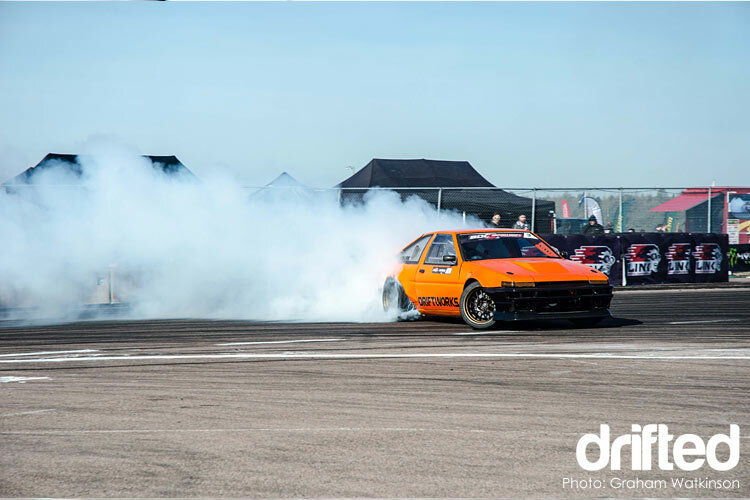 So with this in mind we take ourselves back to last year and that all-important question asked by David, “What does drifting need in order to progress”. 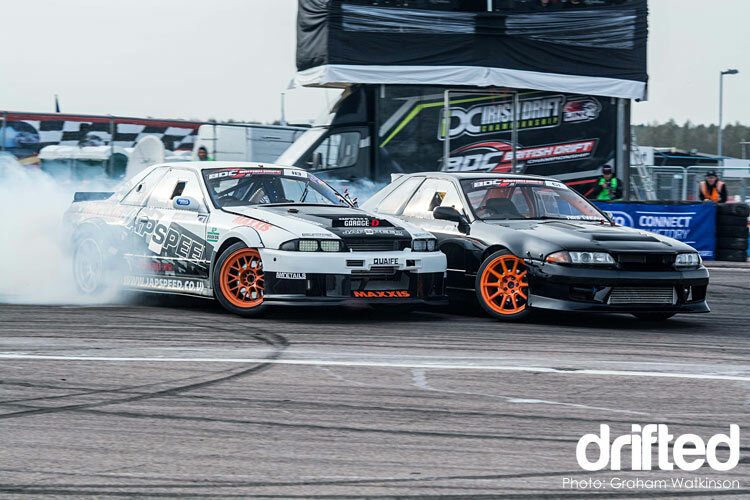 All the plans were thought out, rules, timings, starts, finishes, awards and the all new drift games. The emphasis was to keep the audience engaged at all times, to keep the action full on during the day. The key factor is the people whether it is the drivers or spectators they all have a say. The most important factor for the drivers is reliability, no more were there the constant tyre changes and “one more times” crashing the times, it is all about keeping the action rolling and the car running throughout the day. It’s all the product, he sells it so well and on this trip, everyone has bought into his idea. His enthusiasm is infectious, it spreads throughout the paddock and ripples through the audience, and they all want to be part of it. With that fresh in your mind we push forward to round one. 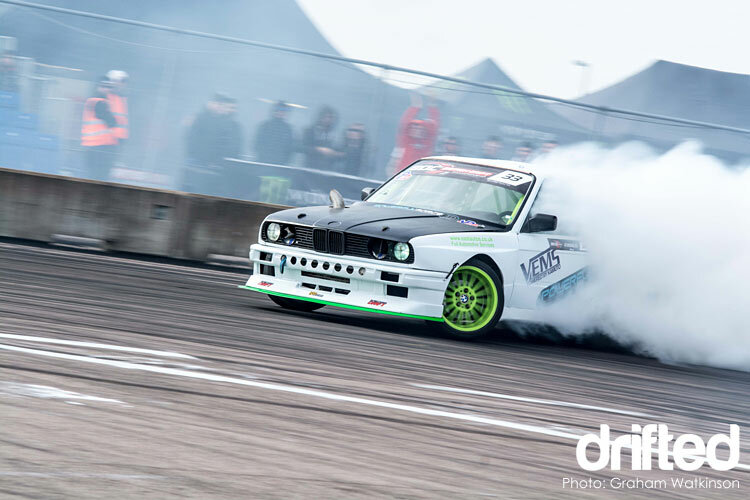 With all the new plans for British drifting can this work? Are we paying into David’s vision? Are we ready for the evolution? Well there are certainly some things that stay the same, one of them – the raw flat-out driving. His enthusiasm is infectious, it spreads throughout the paddock and ripples through the audience, and they all want to be part of it. Really you have to ask yourself why do these drivers continually year after year re-invent their cars, drive, sometimes crash, battle, fail, break, repair and down-right give their all on the track for little gain? I personally cannot speak for any of the drivers but I would like to think they share Mr Egan’s passion and verve for the sport. I will spare you the details of the day’s antics because we all know by now the timetable of the events, practice and battles is a time-honoured tradition that needs no description or narrative. However if you did miss out on the action you can catch Craig Pear’s fantastic video footage below. Two days of smoke were promised and delivered, drivers and mechanics frantically worked away to dare I say, repay the trust and foresight of David Egan. They are paying into the new BDC, the whole hog to coin a phrase. Let’s take a step back to discuss the idea of drift games. Without Mr Egan’s personal viewpoint on these I can only guess as to the endgame but I can see where he is coming from. 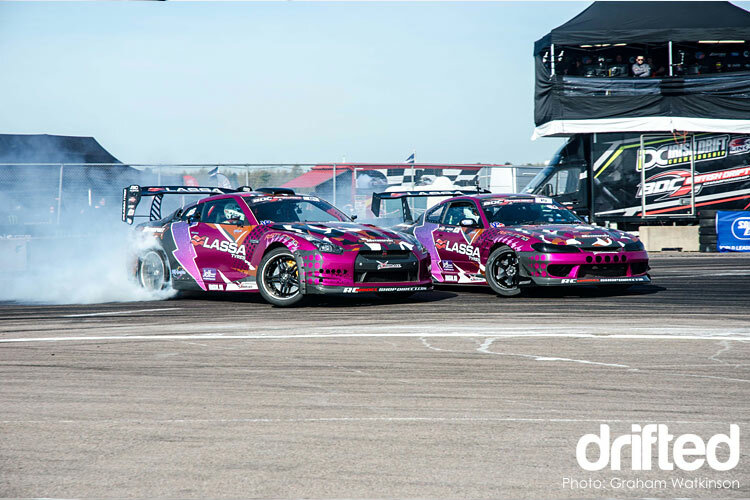 We all know that with the formula of competitions pretty much the same, there are times during the day when the action between qualifying and battles goes a little flat, but with the introduction of drift games it does keep the day flowing. It also brings a couple of new factors to the drifting table; audience participation and honest entertainment. David Egan has defined an ideal that if the sport is to grow it has to happen with the crowd to encompass the whole ideal. The plan is to throw it out into the community and for those social media followers to vote on the games and to self publiscise the package. The choice is made before the event, so the idea can gather speed. All it needs is the drivers to sign up and away they go. In practice it does do what I feel they set out to achieve and we need only wait and see if it pans out with round two just around the corner when we go back to Teesside, a regular haunt for the BDC. “Viva La Evolution” – may the good times roll. With all said and done, are paying customers and indeed we, the media getting what we want from this new way of competitive drifting? It will take certainly a lot of work from Mr Egan and his team to deliver from his side, are we as the on-lookers paying into his grand scheme? Only time will tell, I know round one was a success and all I can really say is “Viva La Evolution” – may the good times roll. 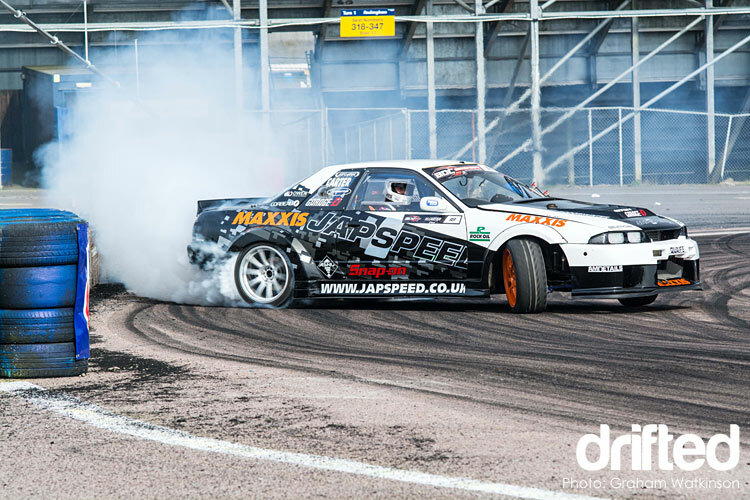 For more drifting event coverage make sure you subscribe to Drifted.